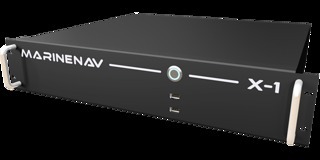 MarineNav has launched a new range of rack mounted computers, available now in Europe through distributor Eurotask. 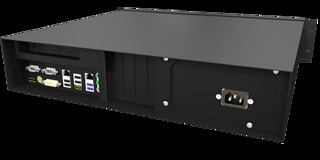 The X1 Standard and X1 Fanless rack mounted computers are designed for use in commercial vessels, workboats, superyachts and specialist hydrographic and research vessels. MarineNav is renowned for manufacturing high quality, reliable marine electronics at affordable prices, ensuring its products are used wherever quality and reliability is paramount, from naval and hydrographic research vessels through to fishing and luxurious superyachts. MarineNav's rack mounted computers use commercial processors, unlike many other marine computers which use mobile variants. The commercial processor ensures speeds up to 60% faster than other computers, as well as increased reliability. Built at MarineNav's ISO 9001:2008 certified facility, all units are soak tested for 24 hours prior to despatch ensuring they withstand the harsh marine environment. With power, enhanced speed and better reliability, the X1 range offers more than enough capability for vessel navigation and operation systems and is a perfect solution for most marine applications. The X1 Fanless is designed specifically to reduce operational noise. Using proven industrial components mounted in a rugged, marinized 2U rack system, the X1 range of marine grade computers feature Intel i5 (for Standard model) or J1900 Quad Core (for Fanless) processor, 8GB RAM, a 120GB Solid State Drive, 1TB of Hard Drive, Intel HD Video card, numerous I/O's including RS232, HDMI, DVI, USB ports, Audio in/out and expansion slots. "The X1 Standard and X1 Fanless are just the first of a new range of marine PC's being developed for international marine markets, and are a great addition to the wide range of MarineNav products we already offer," commented Kevan Merson Managing Director of MarineNav. "We are delighted to be bringing these to the European market through our European distributor Eurotask." Mark Luffingham, MD at Eurotask added: "Since becoming MarineNav's European Distributor in 2014, we have developed a close understanding with MarineNav, which has shown a real commitment to developing product for the European market and we are looking forward to working with the MarineNav Team on this project over the coming months." The X1 carries a 2 year warranty and is priced from €2,109.00 (£1,550.00) ex VAT including a Windows 7 64bit Operating System licence. The X1 Standard and Fanless are just the first of a number of new models that will be marketed in the new X1 range.